It‘s Monday and there is a new challenge on the Kaboodle Doodles Challenge Blog. This week the challenge is: “Anything Goes“. I love altering things and I’m always looking for new things to transform. I used to store my ribbon wrapped around clothespins. I have a lot of ribbon and that storage method was not working for me anymore. I sorted all my ribbon by color and put it in baggies. That left me with a lot of clothes pins. I decided to stamp on them and I love the way they turned out! To be eligible for the prize draw you need to be linked by Sunday, January 5th. I have a Design Team project up on the Just Imagine Crafts Blog today. I love pillow boxes! They are such a quick and easy way to wrap a small gift or gift card … the possibilities are endless. I used the Kreaxions 4 in 1 punch #916 to create the border on my wrap around piece on the pillow box. I raided my stash for the embellishments and came up with a cute gift card holder for a friends birthday. It‘s Monday and that means a new challenge on the Kaboodle Doodles Challenge Blog. This week the challenge is: “Christmas or the Upcoming New Year”. I LOVE banners so I made this “Happy Holiday” card using my Cricut and the Pretty Pennants cartridge (and paper scraps left over from other projects). To be eligible for the prize draw you need to be linked by Sunday, December 29th. One random drawn prize winner will receive a $6 GC from Floppy Latte. I have 2 projects to share today. 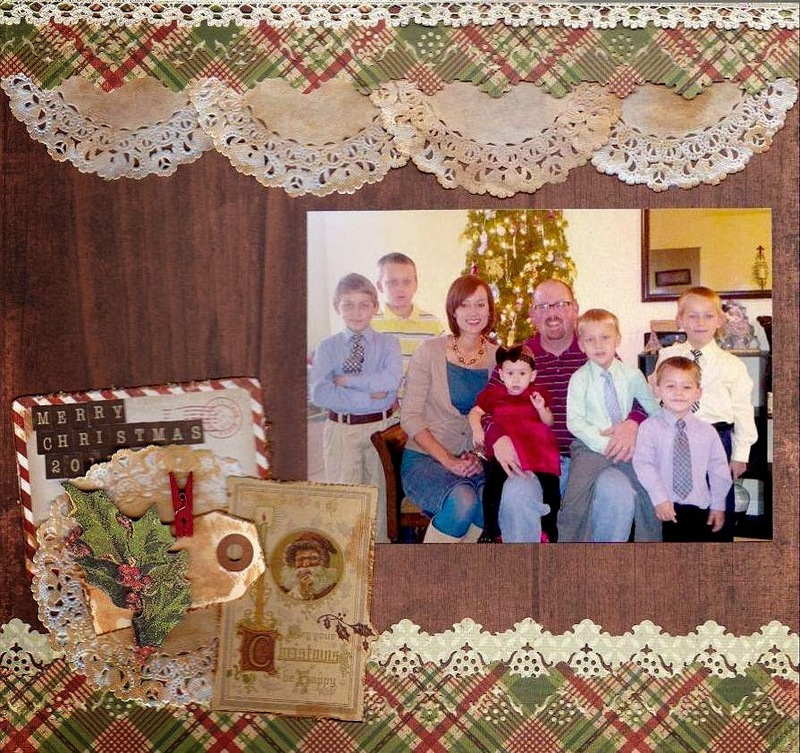 First I have a design team project up on the Just Imagine Crafts Blog. I think I have found a new favorite crafting supply! It’s a shame to get rid of old books. Why not be creative and use them for craft projects. You can find old books at library sales, rummage sales, auctions and used book stores. I made this table runner by taping old book pages together and then punching the edges with the Kreaxions 4 in 1 punch # 905. Second I have a challenge up for the December Mini Crop at Turtle Soup. I made a Christmas gift box. My challenge to you is to create a gift box or bag. Be sure to check out all the inspiring challenges by the other Design Team members. It‘s Monday and there is a new challenge on the Kaboodle Doodles Challenge Blog. This week the challenge is: “Christmas Colors”. I love altering things and books are my favorite! I made this for my daughter. I attached the photo to a piece of twine using clothespins. This way she will be able the change the photo every year. To be eligible for the prize draw you need to be linked by Sunday, December 22nd. 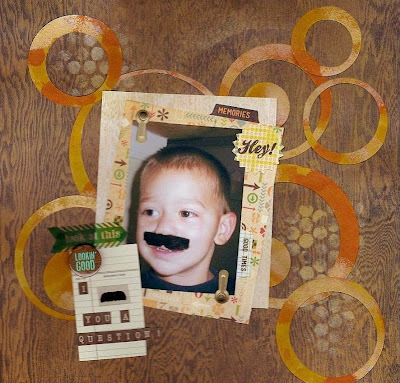 Today there is a Design Team Reveal up on the Just Imagine Crafts Blog. 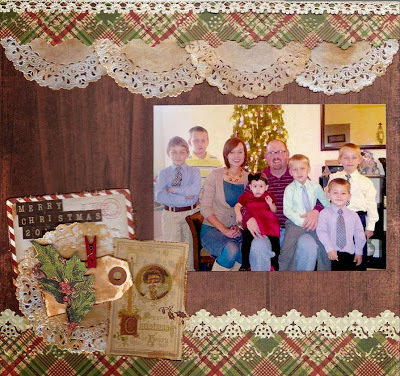 For this Christmas page I used the Kreaxions 4 in 1 punch # 904 to make the border strips. Be sure to check out the blog to see the rest of the Design Team projects. If you’re giving a gift card as a present why not give it a “homemade feel” and make the card holder. I used the Kreaxions 4 in 1 punch #304 to create the fancy edge on the top of the little bag. I then folded it over and added some Christmas stickers from SRM. I finished the bag by adding a twine bow. These will be perfect for the Starbucks gift cards. I originally saw this project (somewhere) on Pintrest and thought it was to cute not to lift. To be eligible for the prize draw you need to be linked by Sunday, December 15th. One random drawn prize winner will receive a $10 voucher to Di‘s Digis. I can’t wait to see your projects! It's Friday and I have a project up on the Just Imagine Crafts Blog. A paper chain is a great way to help children count down the days until a special occasion or a holiday. And who says the paper chain has to be plain!? I made this paper chain for my grandchildren to count down the days till Christmas. I cut 25 paper strips from cardstock measuring 2” X 12”. I punched both side of the strips with the Kreaxions 4 in 1 punch #910, giving the strips an elegant look. I alternated the red and green strips and linked the strips together by stapling them. Today I have two projects to share with you. 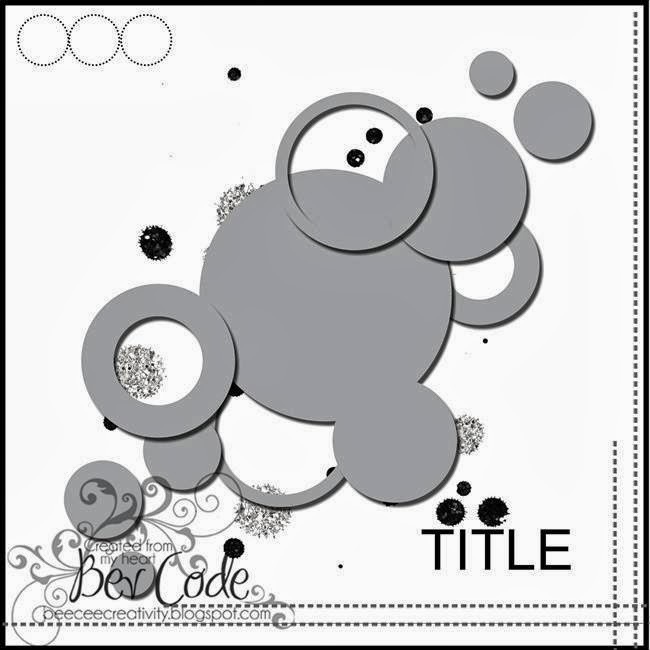 First a Design Team project for the Kaboodle Doodles Challenge Blog. The theme is “start of winter” To create this tag I used my Cricut and the Winter Woodland cartridge. Believe it or not this project is made with scraps left over from other projects. The music paper is probably 2 years old and from Melissa Frances, the pearls are from JoAnn’s and I have had them at least 2 years and the flower I cut off of an old shirt. I distressed the edges of the skates and the tag and then inked them with Ranger/Tim Holtz Distress Ink - Spun Sugar. I heat embossed the blades of the skates with Ranger/Tim Holtz Distress Embossing Ink and silver Ultra Detail Embossing Powder. I LOVE this vintage look! To be eligible for the prize draw you need to be linked by Sunday, November 17thth. Second a Design Team project for the Design Team Layout Sketch Reveal at Turtle Soup. Love this sketch and my finished project! I cut the circles using my Cricut and the Accent Essentials cartridge. After cutting out the circles I stained them with Spiced Marmalade and Wild Honey Ranger/Tim Holtz Distress Stains. I then accented them with a gold Adirondaok Acrylic Paint Dabber. Be sure to visit Turtle Soup and check out the rest of the layouts from the Design Team.